As seems universal in the Fasser Collection, there are no captions or annotations to help identify the subjects, so PLEASE – if you are from Belgium or have visited, and can say anything about where these were taken (which city, what building, what waterway – anything, really) please do speak up! 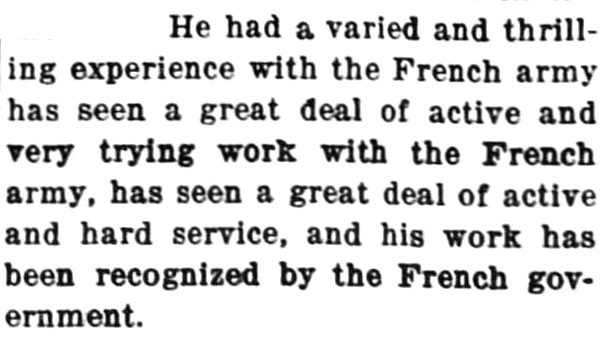 The Weekly Pioneer Times, Deadwood, South Dakota, 1st June 1916. View of some wreckage, apparently from within a ruined building. 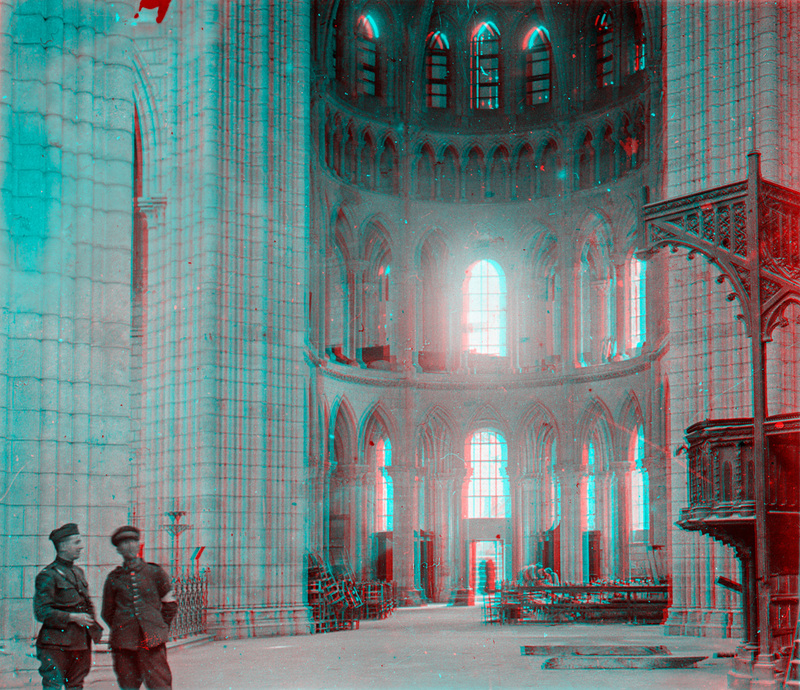 An American Ambulance Corps man stands speaking to a soldier inside a seemingly-intact cathedral. This is the only image from the box which does not depict war devastation – and also the only one that contains an overt link to Fasser, who was a surgeon for the American Ambulance Hospital. 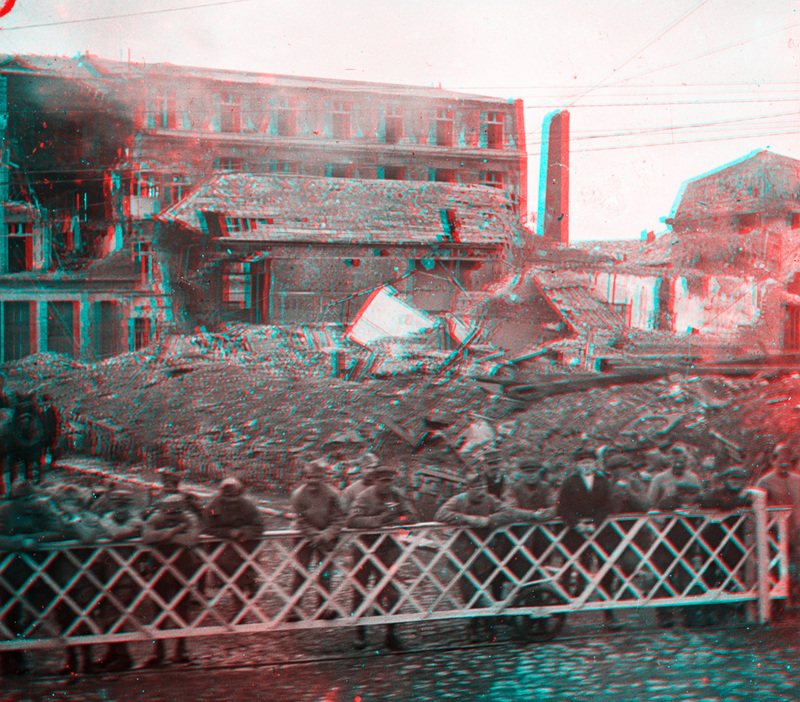 Ruined, and semi-ruined, buildings in the background; a bunch of men leaning against a barrier blocking a roadway in the fore. 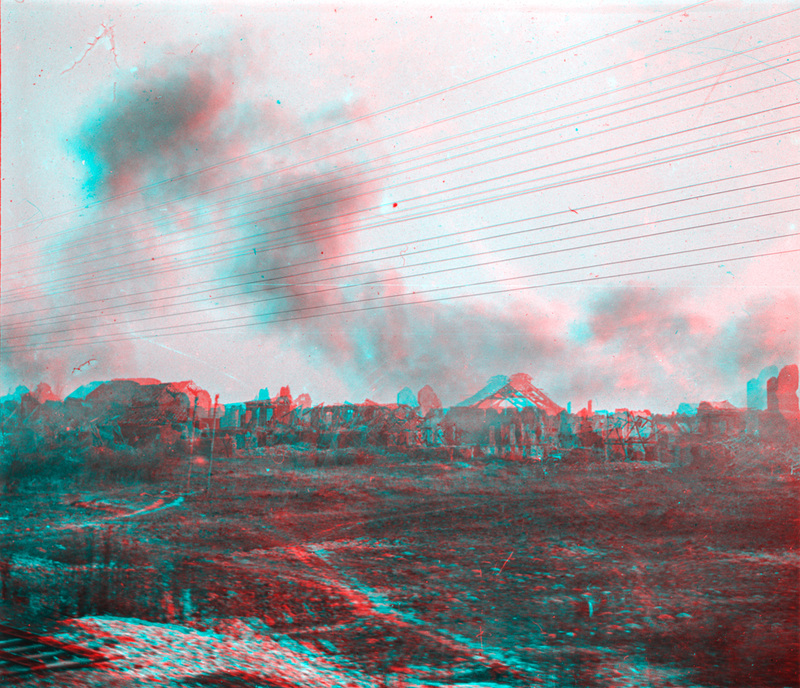 A scorched and ruined town or village in the distance, with smoke rising from either still-smoldering buildings or recent bombardments. This probably has the best stereo-effect of the lot, due to the telephone and telegraph wires above. 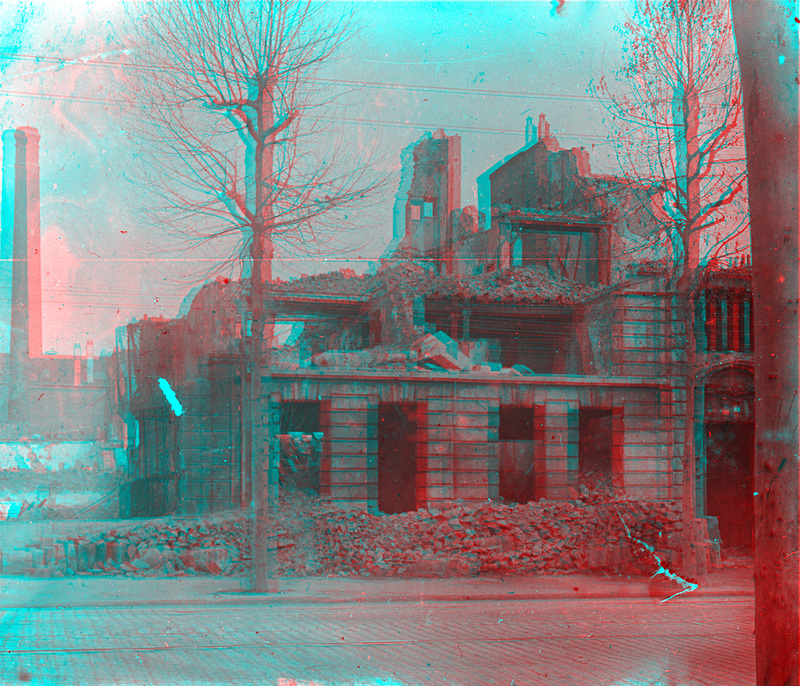 A closer view of a ruined building, using a tree at right to provide stereo context to the viewer. An odd scene, with snow on the ground – placing this in early 1916 if indeed taken by Fasser. 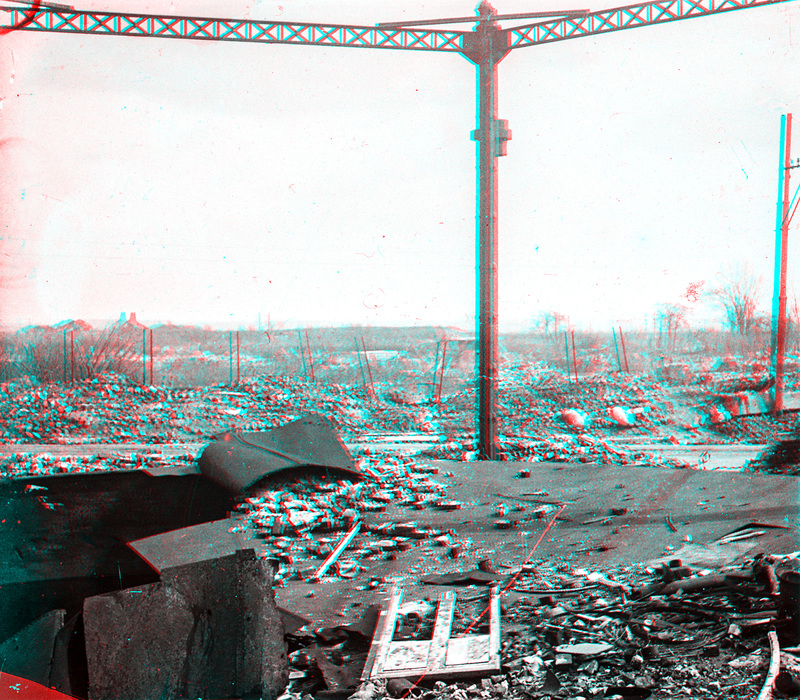 In the distance, another wrecked building – this one either surrounded by scaffolding, or by an external metal skeleton which survived the fire which consumed the wooden elements. In the fore, a plank bridge over a tiny creed, with some light snow around. 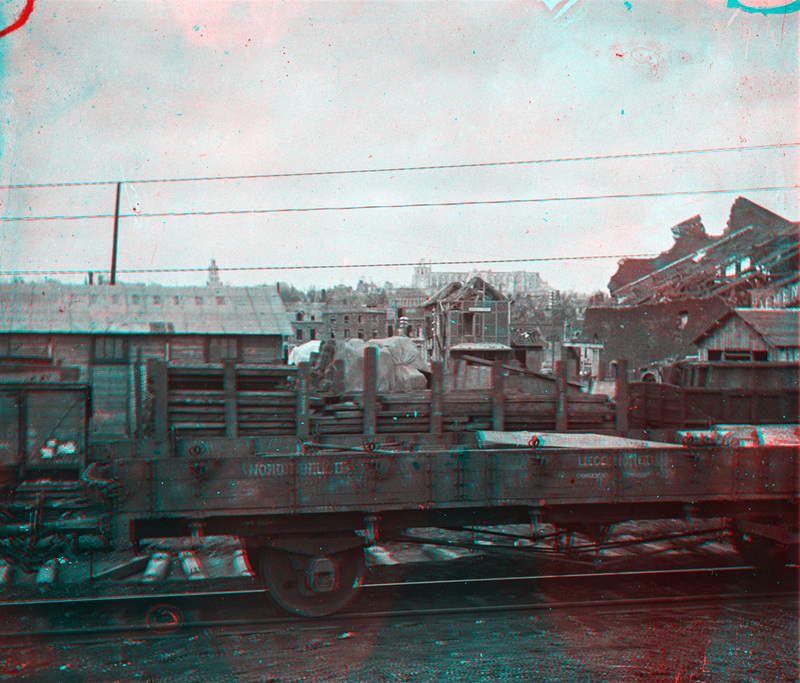 A train car bed on tracks in front of a seemingly-intact railside building, next to which bundled supplies are piled. Behind, a somewhat destroyed town, with a cathedral riding up in the back. 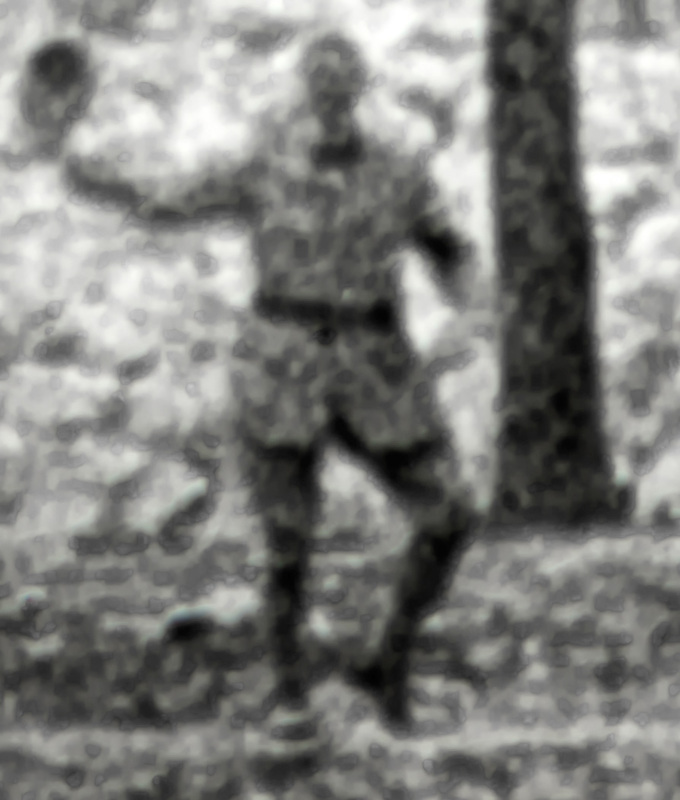 Detail of right-hand image from previous stereo slide. Sadly, I can’t tell – but maybe if one of you recognize the city, you could connect the dots for me! Please use the contact form and let me know what you do! 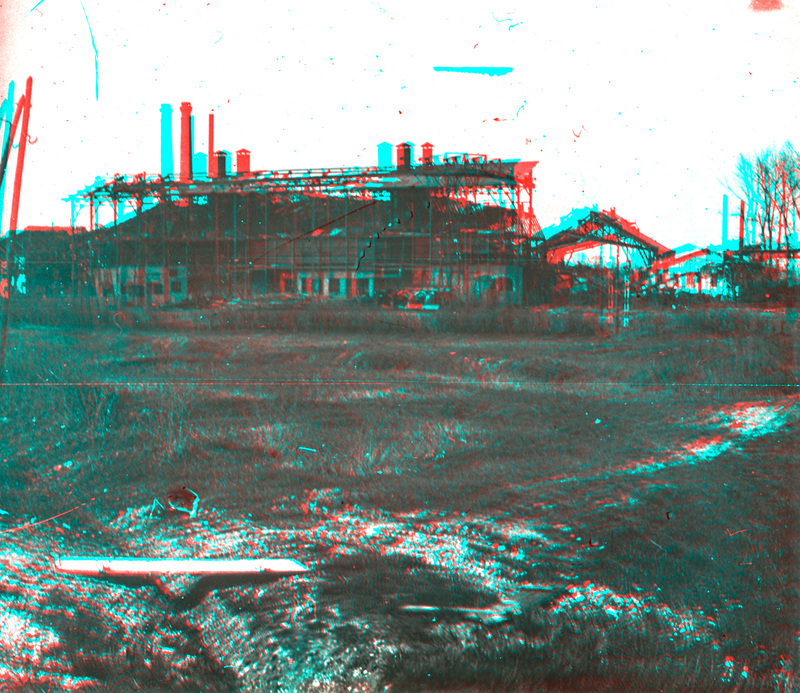 Just like most stereoviews that Fasser composed of landscapes or architecture around the American Ambulance Hospital in Neuilly, the horizon line cuts straight through the center of the images, often leaving too much sky, and sometimes sacrificing perfect verticals to that end. 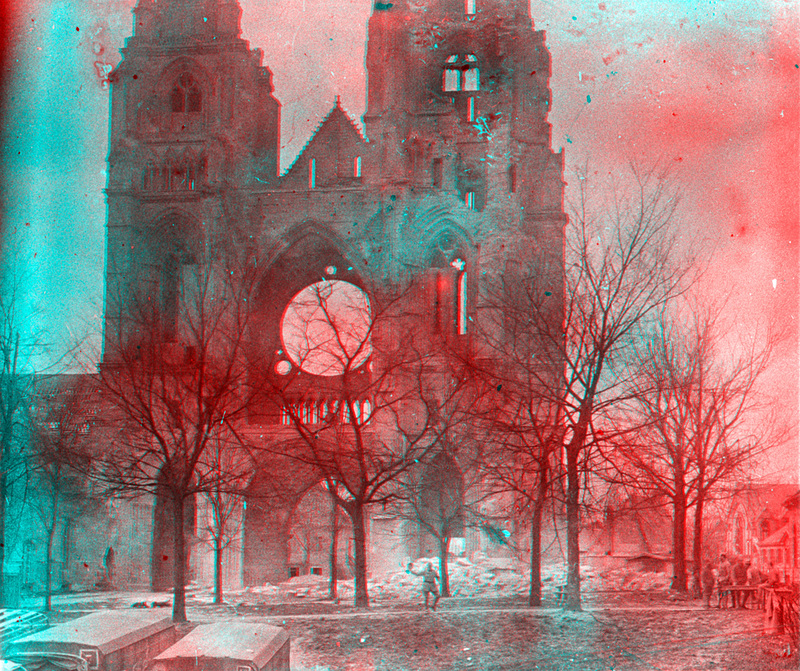 The images are on a uniform emulsion, which is consistent with the packaging, and if the cathedral interior was indeed taken by the same photographer, then there is a correlation with Fasser’s peers. Minimal use of stereo here as well. But we shall see, as we examine more of Fasser’s work this month and beyond, whether we can identify (or narrow down) his camera, its capabilities, and general trends in his work. Until then, we can just make best guesses, and hopefully some of you can help identify these locations in Belgium meanwhile. All images in this post (with the exception of the newspaper clipping) are on 6×13 glass positives, courtesy of the Boyd/Jordan collection, scanned and processed myself. In addition to loads of largely un-sorted, randomly-ordered slides in Andrew O. Fasser’s collection, there are about 8 or 9 original plate boxes – some labeled, some not.